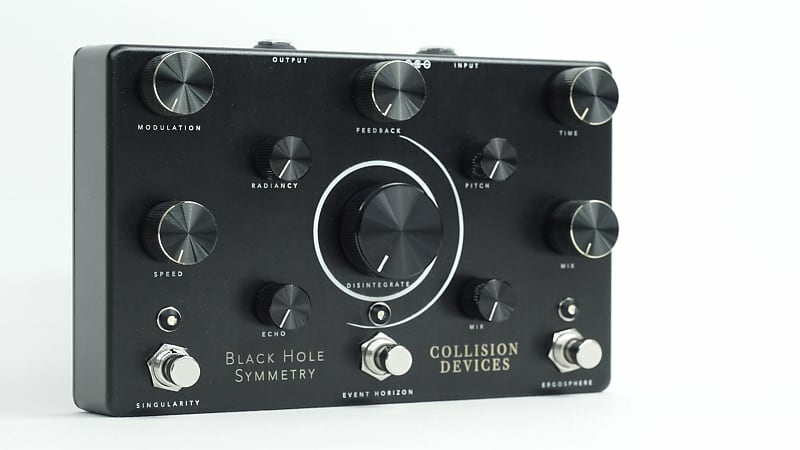 We wanted to put our vision of Black Holes into a pedal. It is the Black Hole Symmetry. 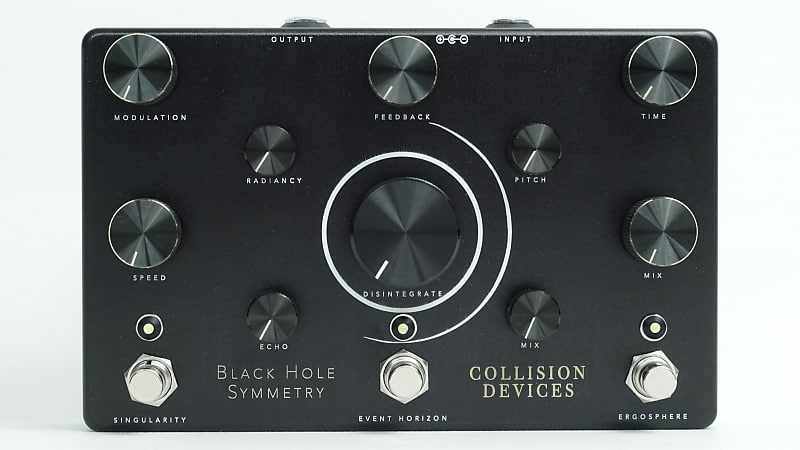 The Black Hole Symmetry is Modulated Delay / Space Reverb / Destruction Fuzz pedal. It is the best way to discover Black Holes. Travel through the Ergosphere, the Event Horizon and the Singularity. The 3 parts of the pedal. This pedal allows to you to have warm waves of sound, trembling repetitions, space sounds and of course to make a lot of noise. Let's enter in a new dimension. Go back in past. Or in future. We let you choose where your trip in the black hole will take you. • Ergosphere (Modulated Delay) : It is based on the PT2399 chip to have a warm echo. The echo signal is modulated by two oscillators. • Event Horizon (Space Reverb) : This long reverb is based on the FV1 chip. It harmonizes the reverb signal with a pitch shifter. 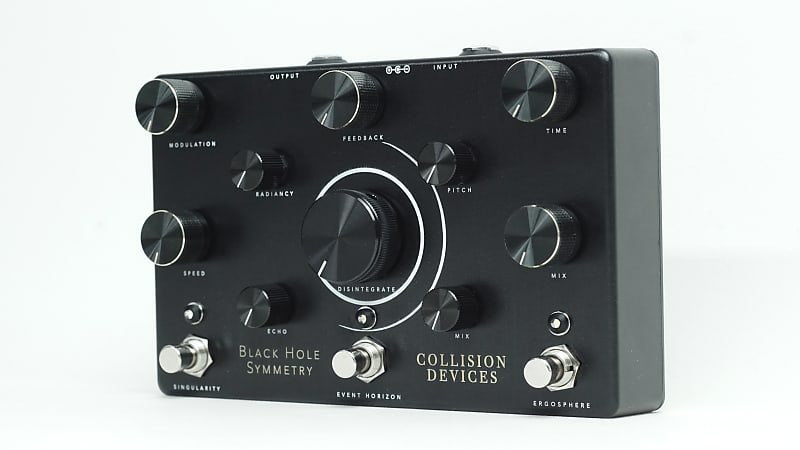 • Singularity (Destruction Fuzz) : The single setting "Disintegrate" allows you to raise your sound. Forget the fact that your drummer plays loudly. Disintegrate : Volume setting with a huge fuzz. Protect your ears please. Powered by a 9V DC negative center. Each pedal is designed, painted, assembled, tested and numbered by hand in our workshop in France. The UV printing is done by our local partner DL System in France. We want to keep our environment clean so our pedals are not powered by batteries. Our pedals are guaranteed for life.